My friend Lindsey is now on the DT of a new-to-me Christmas challenge - the ABC Christmas Challenge. This month's theme is A (Anything Goes) and B (Berries). 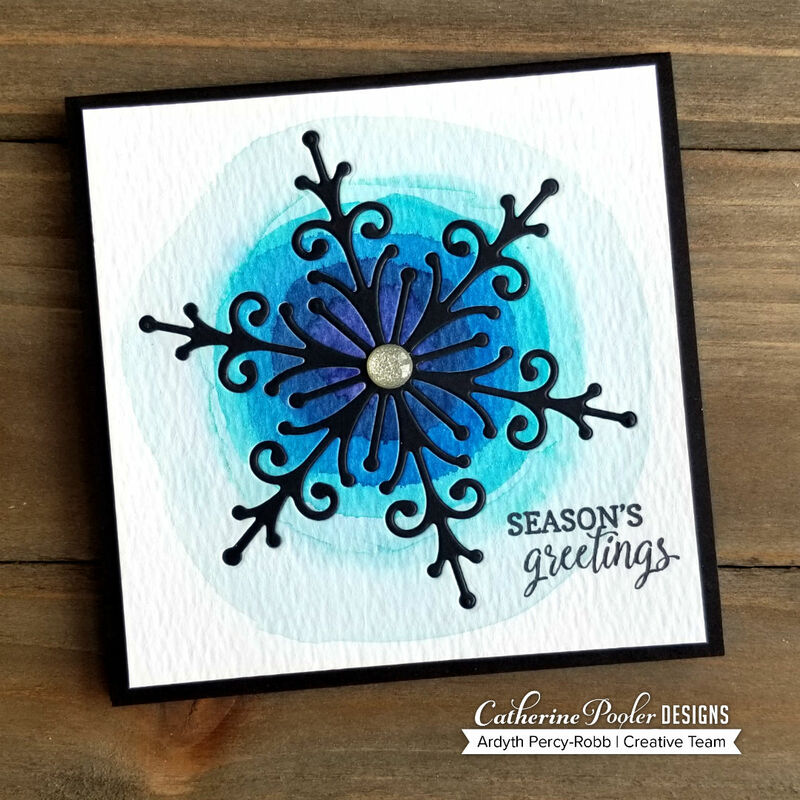 I had this card left from the latest Catherine Pooler release (the next Stamp of Approval collection is coming soon!!) and so I'm going to link up for Anything Goes. I started with a square panel of watercolour cardstock. I painted a loose circle with It's a Boy (and lots of water) and let it dry. Then I did a smaller circle of Fiesta Blue over top. Then Something Borrowed, Suede Shoes, Juniper Mist and Royal Treatment. I love the graphic look! When it was all dry, I inlaid the Delicate Snowflake into the panel and added a sparkly enamel dot as a centre. The sentiment is from Holiday Mittens. This color scheme is so eye catching. I love that black snowflake. Its definitely case-worthy! Cool design! Love how you've painted the circles and inlaid the snowflake in the middle. 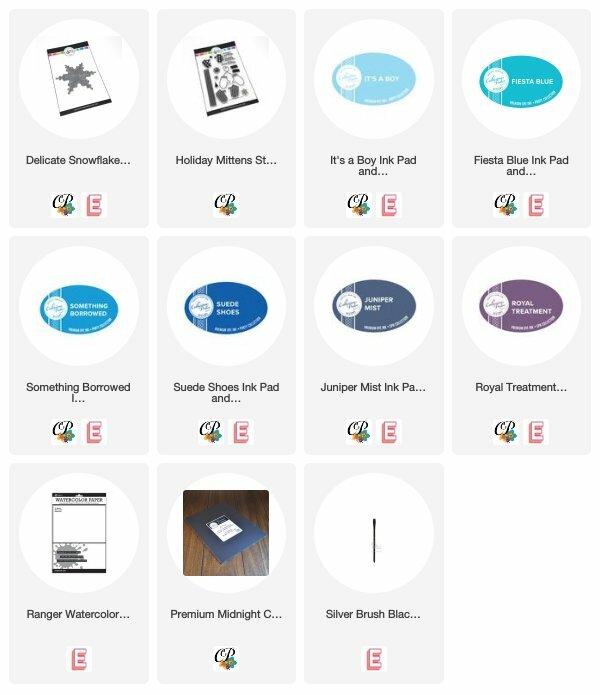 Thanks for joining with us at ABC Christmas Challenge. Looking forward to seeing your creative projects in the future galleries again. What a fabulous card LOVE this idea! love the colour too my favourite!